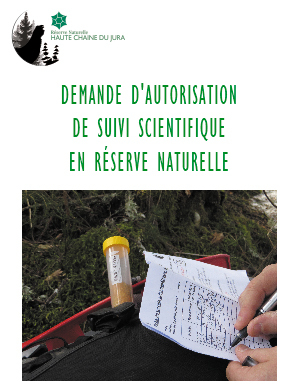 By virtue of Decree no 93-261 of February 26th 1993 and its annexes establishing the management and regulation of the Natural Reserve of the High Jura, all projects of any sort within its boundaries (public or private works, group events, sporting or cultural events, research and scientific surveys, motor vehicle access, use or mention of the word “natural reserve” in publications, etc) must apply to the Advisory Committee or the Project Monitoring Committee (CST). Authorization, when it is given, is in the form of a prefectural decree. 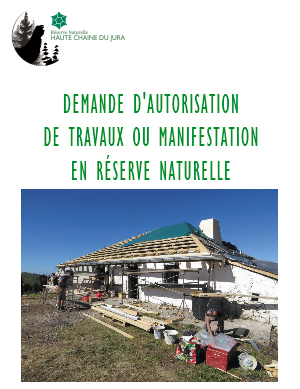 If the application concerns a work project that modifies any aspect of the Natural Reserve, the application should also be submitted to the DREAL Auvergne-Rhône-Alpes (Direction régionale de l’environnement, de l’aménagement et du logement – Regional Department for the Environment, Planning and Housing), which is authorised to review the file for consideration by the CDNPS (Commission Départementale de la Nature, des Paysages et des Sites – Departmental Commission for Nature, Countryside and Sites) and the CSRPN (Conseil Scientifique Régionale du Patrimoine Naturel – the Scientific Council for Regional and Natural Heritage affairs). Date limite d’envoi des dossiers le lundi 1er avril.